Eagle Sundown Services is proud to be your locally owned and operated electrical and plumbing contractor. We have been serving Hiawatha, KS and the surrounding areas with top-notch plumbing and electrical work, affordable rates and quality customer service since 2007. Whether you are a proud homeowner or a hardworking small business owner, you know that ensuring your home or business runs smoothly depends on a lot of small factors, and many of those factors can be traced back to two core essentials: plumbing and electricity. Since 2007, the team at Eagle Sundown Services has been providing high quality repair and installation services in both of those key areas. We are proud to be the electrical service of choice and favorite go-to plumber in Brown County, KS for residential and commercial customers alike, and we hope to soon add your name to our growing list of valued customers. We are a proud locally owned and operated small business in Hiawatha, KS. 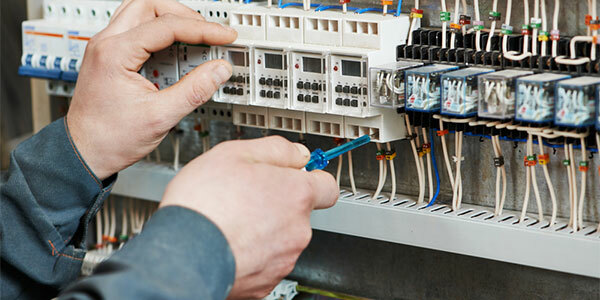 We are fully licensed, bonded and insured for both plumbing and electrical work. Our employees are hardworking, friendly and experienced. Our plumbing and electrical rates are fair and reasonable. "Excellent and prompt service at a reasonable rate, I highly recommend. " For unprecedented service at affordable rates, please give Eagle Sundown Services a call today or any time.